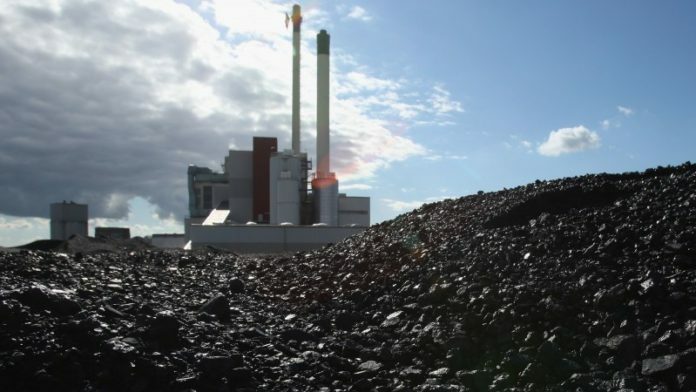 EXXARO Resources expressed frustration with Eskom’s coal procurement processes in which it could take a year to complete a new coal sales agreement, even though the utility was desperate to secure new coal. Whilst acknowledging the utility’s coal procurement process had improved lately, group manager of marketing and logistics, Sakkie Swanepoel said: “The Eskom situation is very frustrating, to say the least. It urgently needs coal … Everyone has offered coal, but few contracts have been signed”. Swanepoel said the group had offered Eskom coal in both short- and medium-term contracts from its coal mines in South Africa’s Mpumalanga province. “We do see more engagement in the last month; they are more serious by saying they want to conclude coal sales agreements,” he added. Eskom said during a November 16 media update that its immediate coal shortfall was some 5.7 million tonnes (Mt) of which it had to procure 4Mt urgently by next month. It secured National Treasury approval for, and contracted, 1.1Mt of that volume. The other 2.9Mt is under negotiation. From the beginning of December, 1.4Mt/year will be railed from Medupi power station in the Waterberg to the Mpumalanga power stations. All in all, Eskom had this year signed 27 new coal contracts to buy 73Mt across the next few years. However, it needed contracts for up to 116Mt. “It is going to be a journey,” said Phakamani Hadebe, CEO of Eskom during the November 16 briefing. Eskom said this week that load shedding, partly as a consequence of having low coal inventories at some of its fleet, was back on the radar. At the time of writing, phase one load shedding was underway in parts of Gauteng province. Asked for its approach to Eskom, Exxaro said that it had never ruled out the prospect of doing new business with the utility. However, it had decided to avoid predicating new projects with an Eskom sales dependence. “We are very happy to do business if it works for both parties,” said Swanepoel. The key strategic sense of working with Eskom was to lock in volumes that would help secure a dependable margin for mines that also export thermal coal. Exxaro said in its customary pre-close financial director’s message on November 28 that total coal sales for its 2018 financial year was likely to come in at 43.8Mt, slightly lower than the 44.7Mt to which it previously guided, but virtually in line with 2017 sales. Coal sold to ‘tied mines’ – which are operations that exclusively do business with Eskom – would be 6.75Mt for this year. This compares to guidance of 6.89Mt and well down on the actual sales to Eskom from tied mines in 2017 of some 7.4Mt. This was largely a consequence of lower production from Matla after Eskom’s previous management refused to invest in mine resource renewal or new mine development. In general, however, there are signs that the relationship between Exxaro and Eskom is improving, and quickly. Exxaro said it had suspended arbitration regarding responsibility for resource development investment at Matla. This was after receiving confirmation from Eskom that it would now provide funds for a new shaft (and access new resources) at the mine. A separate arbitration process with Eskom regarding responsibility for paying rehabilitation costs at Arnot, formerly a tied mine before it was closed, had been concluded after it was found Eskom was responsible for topping up the rehabilitation fund. Eskimo “fiddling while the South African economy is burning”. Two word as to why Eskom is not being “fixed”: Votes and ideology. It is a political pawn. It can and will bring down the SA economy at this rate.